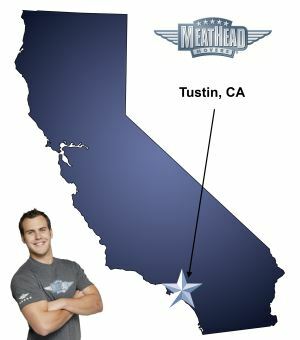 For a trouble-free move to Tustin, Meathead Movers is the company for you! Our professionally trained student-athlete movers are ready to get you into your new Tustin home. Located in the heart of Orange County, Tustin is known as a family-oriented community. Named one of Forbes magazine’s Top 25 Places to Live Well, the city boasts one of the shortest commutes in all of Southern California. In fact, moving to Tustin may be the first step in crafting a stable and happy future for your family. When you choose Meathead Movers, you can rest assured that all your precious belongings will make it to your new home or apartment safely. Tustin offers much more than just short commute times. Thanks to its proximity to the Saddleback Mountains and Pacific Ocean, the city provides the perfect base for those who want to explore California’s great outdoors. Within city limits, individuals and families can head to one of more than a dozen public parks that offer playground equipment, picnic tables, tennis facilities, basketball courts and nature trails. Of course, Tustin also offers a wealth of conveniences in terms of shopping and entertainment facilities. Two major shopping centers are located close to the Tustin Ranch neighborhood. Many locally owned boutiques and restaurants are located across the city in Old Town Tustin. In the spring and summer months, the community is also home to a popular farmer’s market. Other annual events, such as the Dino Dash take place in Old Town Tustin parks. While living in Tustin promises to be a positive experience, moving can be a tough and stressful experience. At Meathead Movers, we’re proud to provide dependable honest moving services to individuals and families throughout Southern California. We specialize in local, long-distance, and commercial moves to, from, and within Tustin. We also provide reliable packing, storage, and on-site relocations. All our movers are student-athletes who know that your time and money are precious. When they’re not carrying boxes, your movers will jog to make the most of your time. Our Princess Packing services are ideal for those who need to move but dread boxing up their possessions. We also provide moving concierge services for our clients, meaning that we’ll connect you with local service providers to ensure a smooth transition to your new home. Moving to Tustin should be exciting. If you’re stressed out about moving to this quiet Orange County community, consider trusting our Tustin movers to do the hard work for you. After all, you want to spend your first days in the community exploring parks and shopping centers not hauling boxes. Contact us today for a free no-obligation moving quote. Moving to Tustin? Here are some helpful resources. The guys were very nice and helpful and did a great job! They were efficient and didn’t slack at all. I really appreciated all their help! Movers are polite, friendly, hard working and do a great job! Alyssa was fantastic and took care of us and our many questions and changes! Great job! If I ever move again I will definitely call Meathead Movers! Thanks again! The movers were efficient, courteous, friendly, and helpful! Overall an extremely pleasant experience! There were a few issues with the move. 1) It was seriously under-estimated. That somewhat works out for me since the NTE price was hit. It also means that it did cost far more than was expected. 2) The team was tired when they arrived at the destination location. By the time they were done, they were exhausted. That means they were moving slowly and that means time and that means money. 3) One of the moving team (Teo?) had a hurt back and took frequent breaks. That made the team less efficient. Again, that equates to time and money. 4) Nick, the lead person, spent a great deal of time stacking and disassembling furniture at the origin and assembling furniture at the destination. If that work had been switched with the other two (Even and Teo?) then there would not have been as much exhaustion. Again, that translates to time and money. If a 4 or 5 person team had been sent, this move would have been completed more efficiently. Yes, you would have charged a higher hourly rate, but there would have been fewer total hours since the work would have been divided up more effectively. 5) The "double travel time" is excessive. I was charged 1.5 hours. if double travel time" means twice the actual dive time, then we need to review this charge. It did not take me 45 minutes to drive from the origin to the destination. It only took 30 minutes at the exact same time of day as the moving team. 6) The team was carelessly stacking boxes. One box marked "FRAGILE" had three heavy boxes stacked on it at the destination and the top was crushed. This had my computer monitors, which were bubble wrapped and blanked wrapped inside the standard Large moving box. When I opened the box, one monitor case was popped open. I was able to get it closed and the monitor appears to be working correctly. However, I am very unhappy at the carelessness. I was a repeat customer, but you've lost me and you've lost my recommendation.